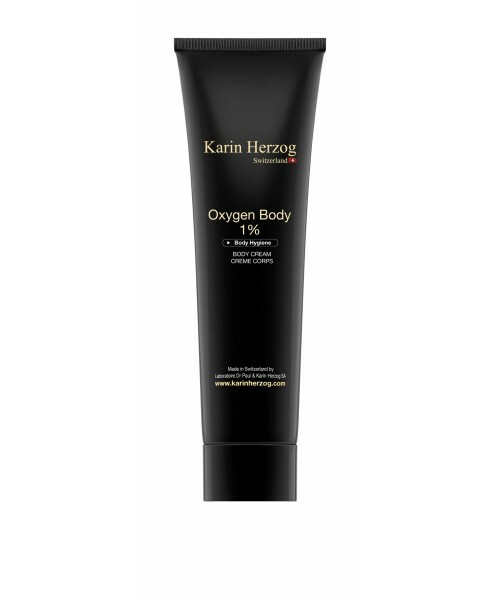 Formulated with 1% active oxygen and fruit extracts, this body cream moisturizes the skin while preserving its elasticity. Non oily and quickly absorbed, it leaves the skin feeling soft and satiny smooth while procuring freshness with its slightly fruity fragrance. Can be used either before or after a shower/bath. Apply a thin film to the body without massaging. Allow to penetrate fully or, if preferred, remove after 5 minutes by taking a shower or wiping the product off. Use daily. This may also be applied to the hands after water contact. Aqua, Petrolatum, Glyceryl stearate, Paraffinum liquidum, Stearyl alcohol, Cetyl alcohol, Polysorbate 80, 1% Hydrogen peroxide, Tocopheryl acetate, Citrus aurantium dulcis peel oil, Citric acid, Salicylic acid, Citrus reticulata peel oil, Retinol, Parfum, Beta-carotene.